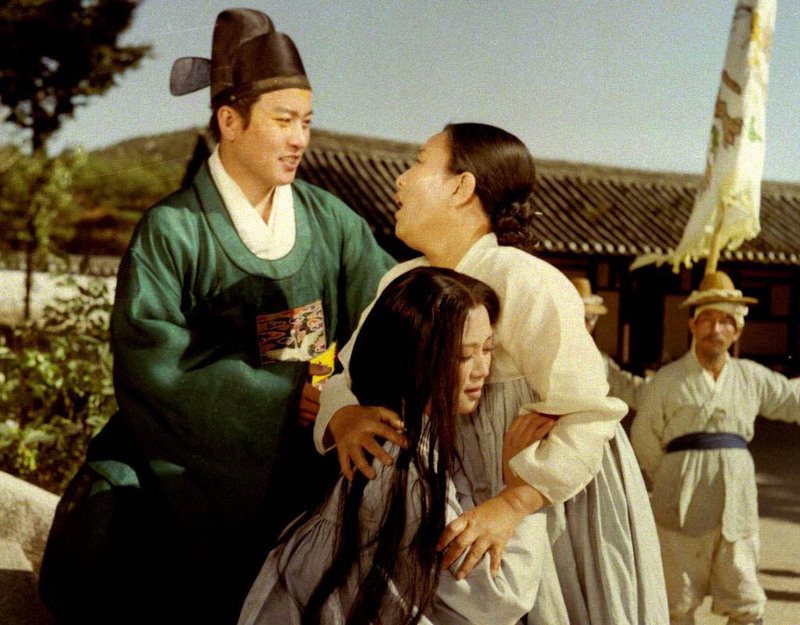 A scene from The Tale of Chun Hyang. The popular Korean folk tale has been told in films and on television many, many times. The Festival du nouveau cinema in Montreal is showing a version made in North Korea in 1980. Some of the films being shown at the Festival du nouveau cinéma will go into general release here in Montreal within the next few days weeks or months. But others fall into the “now-or-never” category. Unless you are a cinema scholar or have good connections, chances are you won’t be able to see them again. The Tale of Chun Hyang, being shown just once, on Saturday Oct.10, 2015, is one of these “now-or-never” films. But the version being shown at FNC was made in 1980, in North Korea. While that country makes many films, we can’t see them very often. Im’s film was visually stunning, so I’m wondering how this North Korean version, directed by Yun Ryong-gu and Yu Won-jun will play out. The Romeo and Juliet story is often invoked when describing The Tale of Chun Hyang to Westerners. It’s only a rough approximation though. (SPOILER: Chun Yang has a much happier ending.) The conflict here is not so much between families as between classes. Many nobles and officials do what they please with the country, its assets and the people lower down on the social scale than they are. And women have the worst deal of all, as happens so often in fairy tales. See The Tale of Chun Hyang with your friends and you could probably have some interesting arty and political discussions afterwards. Chun Hyang is the beautiful daughter of a woman who became the second wife of an official. In Korean with French subtitles. Salle Fernand Seguin of the Cinémathèque Québécoise, 355 de Maisonneuve Blvd. E.
Click to read more about The Tale of Chun Hyang on the FNC web site. You can buy a ticket online here. Click to read more about the other North Korean films on the FNC program. The Festival du nouveau cinema runs until Sunday, Oct. 18, 2015.